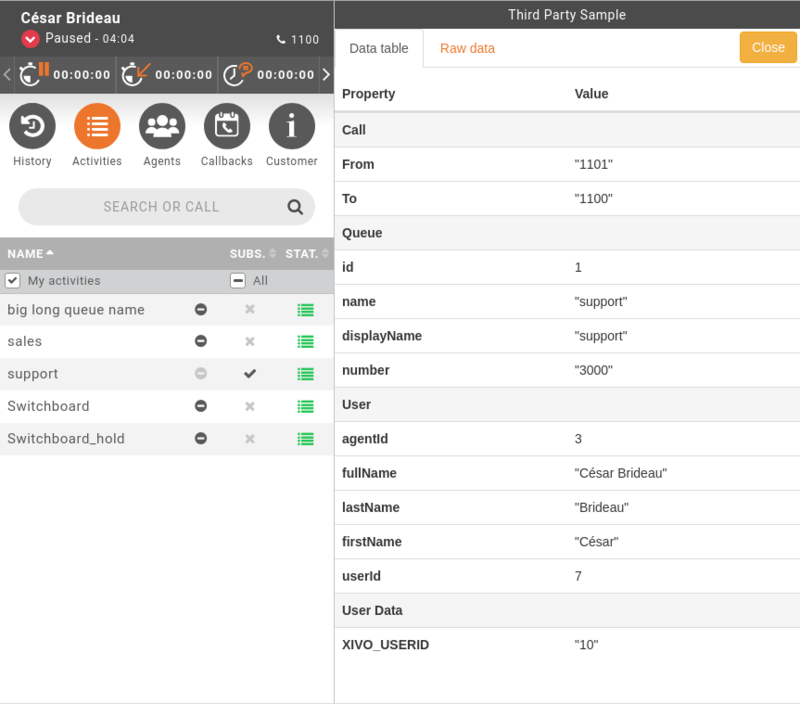 When a call is ringing on the agent phone, the Application will call the external web service (see Configuration below). The web service response will dictate the behaviour of the integration. 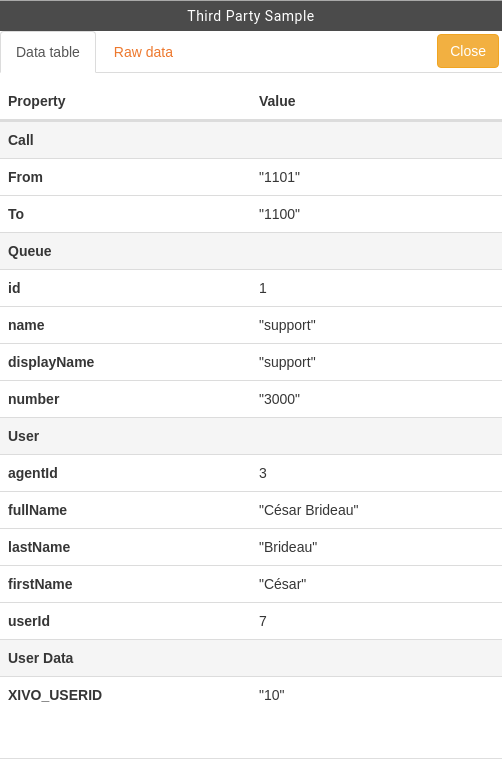 For example, if the speficied action is to open the application when the call is hung up, a new panel will be created and opened inside the agent interface, showing the content specified by the web service response. (see Web Service API for available options). When the work is complete in the integrated application, the application must post a message to terminate the third party application pane inside the agent application (see Completion). The speficied URL must be accessible from the client browser (i.e. the end user of the Agent application). The call wil be made from his browser. The Web Service url specified in the :Configuration must conforms to the following behaviour. url should be the url to open inside the application. This url should point to a valid web application that can be specific for each call. autopause if set to true, the agent will be put on pause when the application pane is opened and back to ready when the application is completed. autopauseReason an optional field allowing to set the type of the pause used while setting the agent on pause (see the line above). multitab if set to true and action is set to popup, then the integration will be opened a in new popup window (or tab) each time instead of reusing the same window (or tab). title will set the title of the tabs that will be opened. Once the work is complete inside the third party application, it should post a completion message (closeThirdParty) to the application using the Web Messaging API.